Fot the grill master in your life. 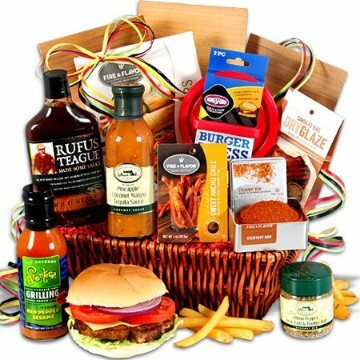 Perfect for anyone who craves unique flavors, this impressive bounty unites the most desirable, award-winning grilling products together. Offering unbeatably bold tastes with a collection of irresistible sauces, deliciously savory rubs, and gourmet glazes, this awesome gift will let your recipient create food that's truly nothing shy of great.